Cheers to Prog Magazine UK for premiering the brand new video for High 555. Available to buy/stream on all good online platforms from November 30th. "...it may prove to be the best instrumental album you hear this year." 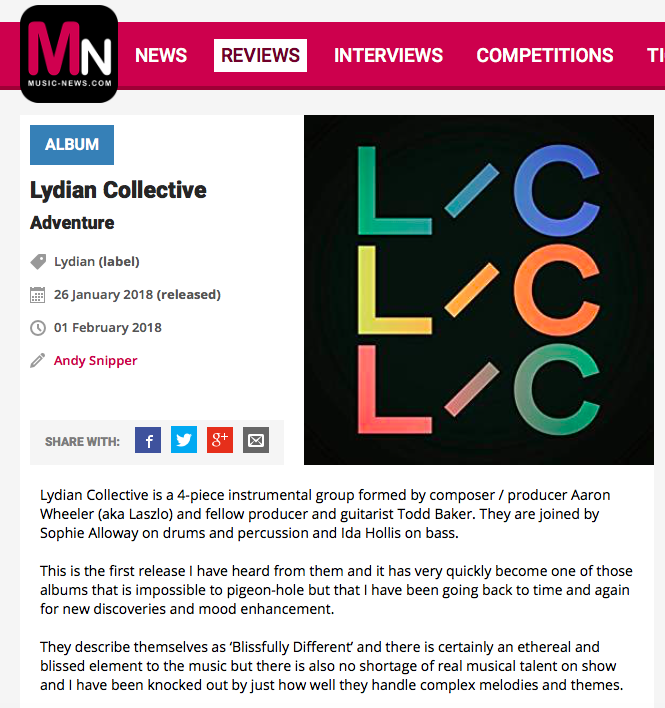 - Music-News.com 4/5* "
Our third single 'Cascades' premiered on Complex UK in January 2018! Buy/stream 'Cascades' now. A big thanks to Clash Magazine for premiering our first single, 'Thirty One'. Buy/stream the single here. London Jazz News interviewed Aaron in December 2017.